Apparently it was a well-kept surprise to Dr. Joan M.E. 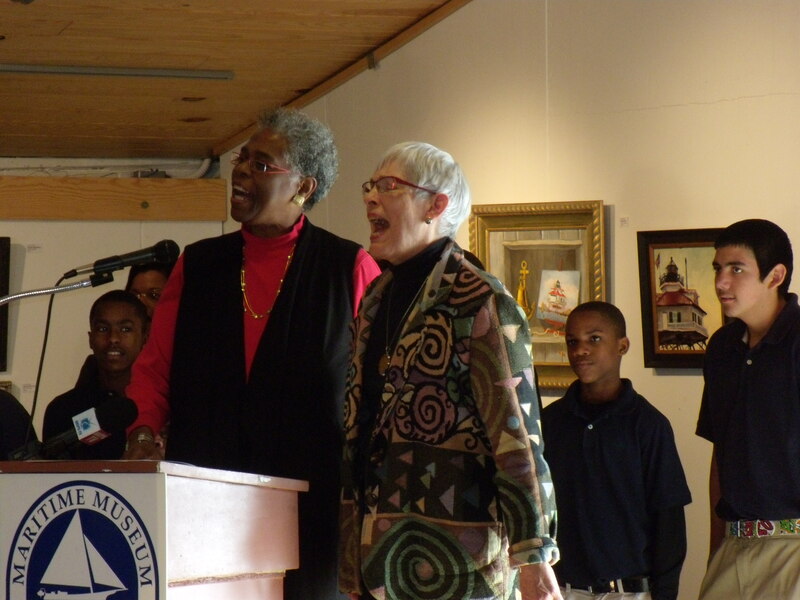 Gaither that she, along with her extraordinary documentary story quilt, were the honorees at a spirited dedication ceremony this past Wednesday. 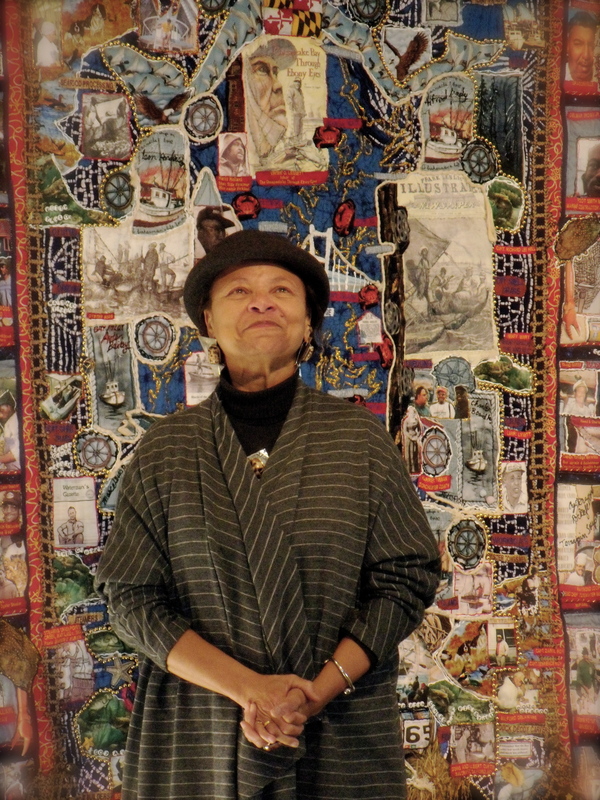 The artist received various accolades, too many to enumerate, celebrating her Black Watermen of the Chesapeake quilt. Imagine being asked to show up for a “small” dedication ceremony to find a hundred friends, family, local students, community members, and other supporters there to tell you how much of an impact you have had on their lives. 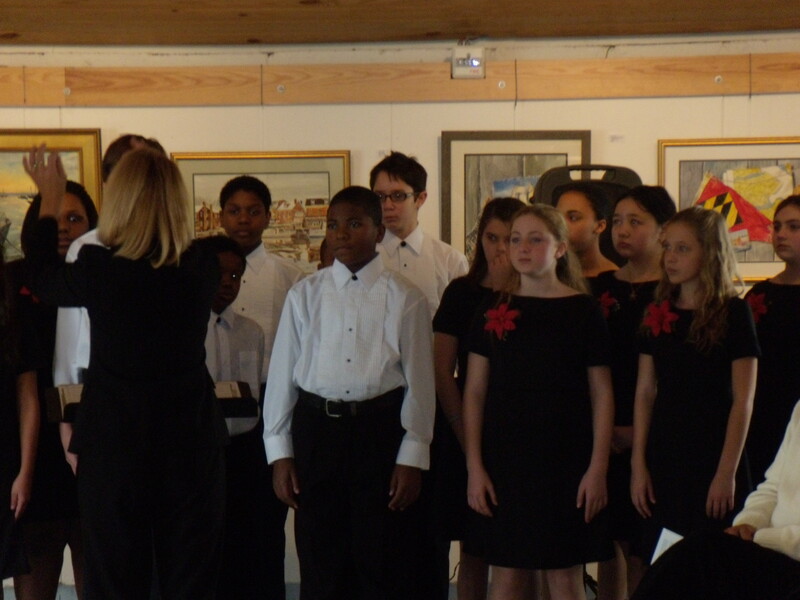 Music and poetry framed the ceremony, including a rendition of Ave Maria by Banneker-Douglass Museum’s own Gen Kaplan, winter and water-themed selections by Bates Middle School choir, and a capella spirituals. Oh yes, there were tears. Let me back up a little; when I say her quilt, what I mean is her vision, her expertise, and her talent. But Dr. Gaither did something remarkable: She shared all this with the community and allowed anyone who wished to add their story, their photos, and their stitches to the quilt. She is the first to say that this was a community project. 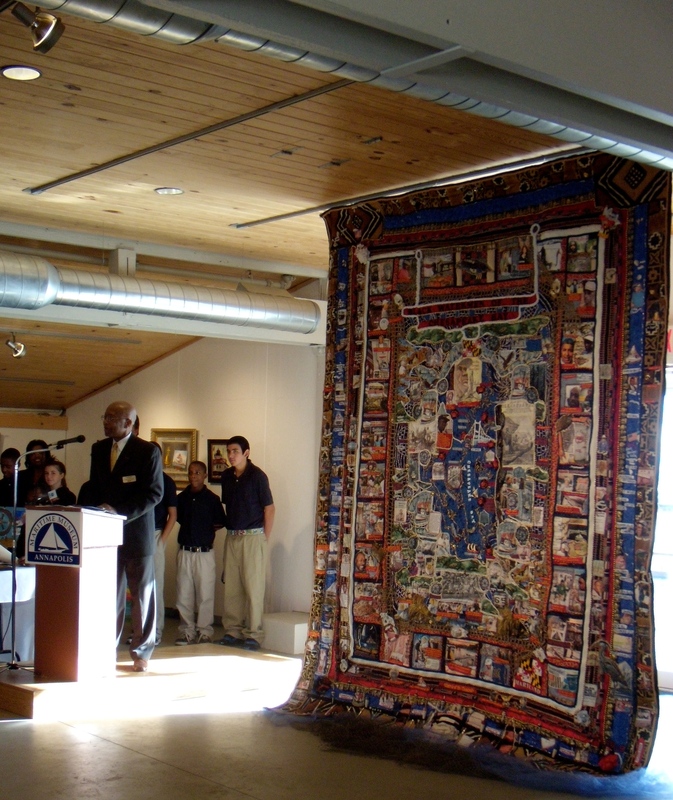 This particular documentary story quilt, as there are quite a few more, tells the stories of African American men and women who spent their lives working the water of the Chesapeake: Their struggles, their triumphs, their families, their LOVE of the Bay. As Jeff Holland, Director of the Annapolis Maritime Museum said, “this is our history,” no matter who you are. If you live by the Bay, you will be touched by these stories. If you haven’t seen the quilt yet, well, you have to wait until March when it returns to its home state – this piece is traveling! Its first stop is in Hartford, Connecticut then back to the Reginald F. Lewis Museum of Maryland African American History and Culture. Reflecting on this past Wednesday, though, I can say what a great way to start the day! If you weren’t able to attend the dedication ceremony, check out some of my photos below. Then get in the car, and go to Wiley H. Bates Legacy Center in Annapolis to check out some of her other pieces while they’re still on exhibit!